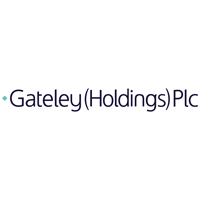 Gateley (Holdings) Plc (LON:GTLY), the law-led professional services group has today reported its audited preliminary results for the year ended 30 April 2018. I am delighted with the performance of the business in the twelve months to 30 April 2018. Following on from our two previous successful years on AIM, we have seen revenues rise by 11.0% this year to £86.1m and earnings per share rise by 17.0% from 9.43p to 11.03p. What is particularly pleasing is that this strong growth has been achieved whilst maintaining a healthy balance of continuing to support and enhance our customer offering and seeking new opportunities for future investment. The scale, breadth and depth of our business continues to expand and our strong focus of leveraging our service offering for the benefit of our customers has been, and will continue to be, at the forefront of our strategic thinking and operational focus. Since we became a public company, we have seen an increase in the interest that staff have in this new structure for a law firm. I’m pleased to say that our ability to attract quality staff, who are interested in benefiting from the opportunities provided by our plc structure, continues to strengthen. During the year we have increased our average employee numbers by 8.8% from 696 to 757. The next important phase of our incentivisation journey commenced shortly after our year end with the delivery of greater equity participation and rewards through our initial Stock Appreciation Rights Scheme that was awarded to partners present at the IPO. Alongside our all staff share scheme and CSOPs, employees from all parts of the Group continue to benefit as shareholders. The majority of Group employees now have some form of equity in the business. After a period of integration following our first two acquisitions in 2016, we have been working hard this year in seeking the right next steps for our acquisition strategy that deliver both high quality output as well as complementing our existing service lines. 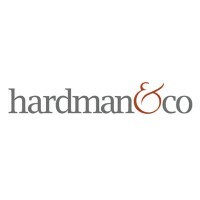 This has resulted in the two recent strategic acquisitions of GCL Solicitors and Kiddy & Partners. These two very different businesses have excellent reputations of long term client retention, high levels of service delivery and the Board is delighted to welcome them to the Group. Without our Plc status, I do not believe that we would have appealed to either business in the same way. The opportunity that Gateley pioneered by being the first UK commercial law firm to IPO three years ago has now ignited increased interest across our changing sector and several more law businesses have followed us onto the AIM market. As a Board, we very much welcome the creation of a broader, larger sector for stakeholders to consider. As an established investment choice, I continue to remain confident that Gateley has the right strategy for the profitable growth of the Group and to deliver enhanced value for all our stakeholders. Our management team remain steadfast in its vision to succeed with their stated aims to differentiate (through our comprehensive service offering and service ethic), to diversify (through organic growth and acquisition of additional complementary non-legal businesses) and to incentivise (offering wider and earlier equity participation to staff). The Board remains confident that the business is well placed to deliver another year of growth, whilst at the same time continuing to seek complementary service lines to further enhance our customer offering. Accordingly, the Board looks to the future with confidence and is pleased to propose an increased final dividend, subject to shareholder approval at the Annual General Meeting on 26 September 2018, of 4.8 pence per share, making a total dividend of 7.0 pence per share for the year, and representing a 6.1% increase on the prior year. Finally, and certainly not least, I would like to pass on my thanks to our Chief Executive, Michael Ward, as well as to the Board, to the management team and to all of the staff at Gateley for their hard work, support and fantastic contribution this year in delivering a strong set of results and making considerable further strategic progress. Click GTLY for the full archive.